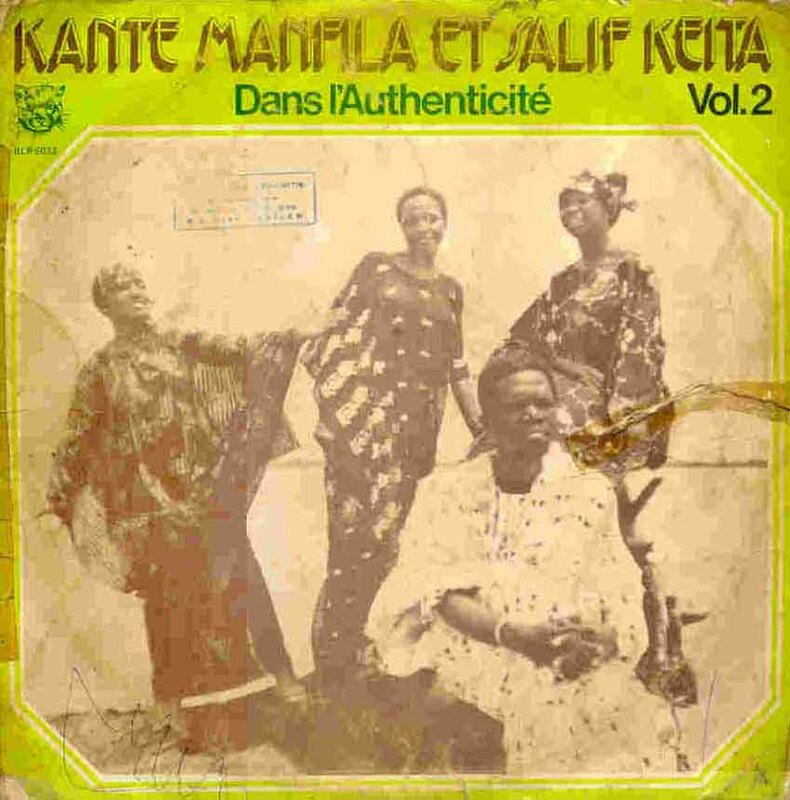 Kanté Manfila and Salif Keita continue to explore the music of the griots in this second volume of traditional Mandé songs released through the Badmos label (see Volume 1 review). Songs performed include "Tara", "Toubaka" and "Toura Makhan", with kora and balafon supplying the accompaniment. The backing vocals are presumably by the un-named women on the front cover. These rare recordings from circa 1979 were released shortly after Salif and Les Ambassadeurs Internationaux had recorded "Mandjou", their praise song (in the manner of a griot performance) to Guinea's President Sékou Touré. During a tour of Guinea, where the band performed the song at their concerts, President Touré awarded Salif the medal of Officer of the National Order of Guinea, and he was also granted a diplomatic passport. Great recordings, highlighting Salif's forays into the realm of the griots.